Game Slides - for a fun introduction to each week’s topic! Messages (Small Group questions included) - the first week will focus on prayer and each of the following will explore one of the seven essentials, centering the topic around a key Scripture passage. Presentation Slides - to accompany each week’s message. 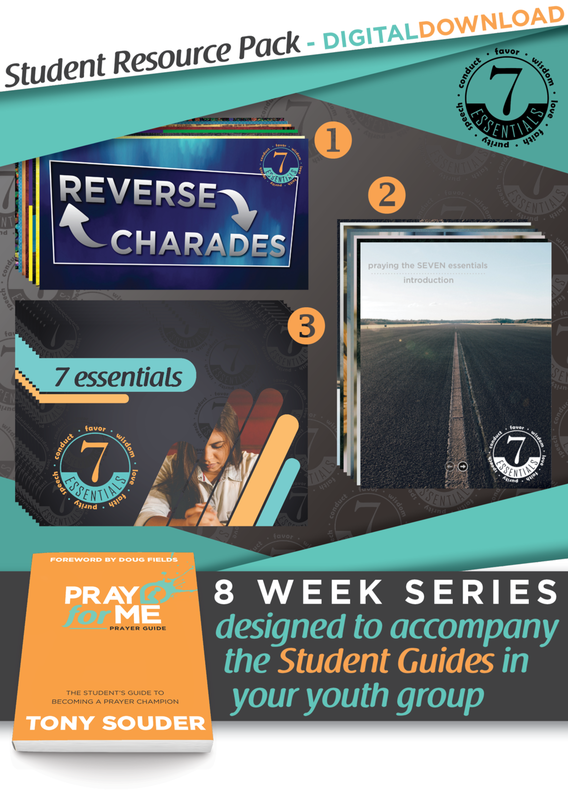 Having each student daily reading through the Pray for Me Student Guide and weekly having instruction from youth leaders and discussion with peers makes this an invaluable resource for diving deep into prayer.